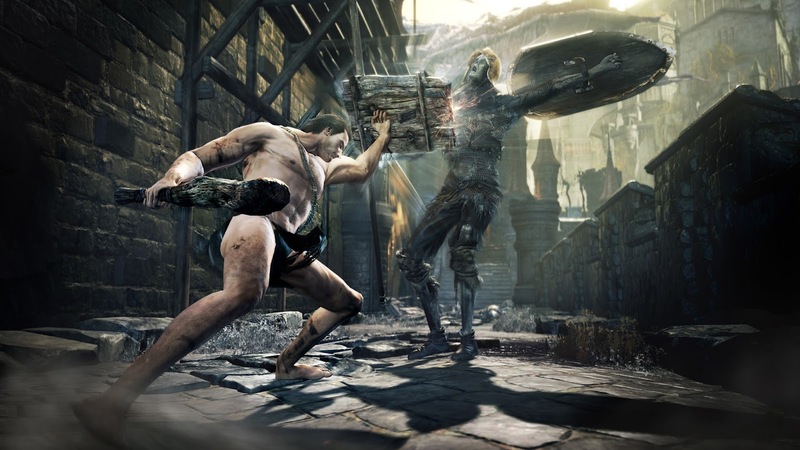 NOTE: This review compiles an experience of both the pre-release and final versions of Dark Souls III. The following section, concerning the pre-release was published on March 3rd 2016, and is reproduced here in its entirety. An updated section for the final version of the game follows at the end of this review. 'I may be but small, but I shall die a colossus.' - Lord of Cinder. 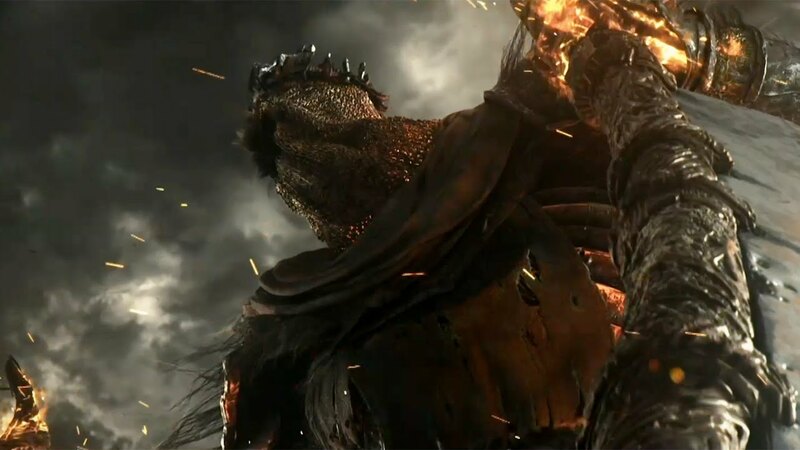 Dark Souls III is everything you could be wanting from a From Software game. It balances the tonal feel of the first game, the better player orientation of the second, and the faster combat of Bloodborne. It is, in every sense, a From Software "Best Of Gameplay", a number of excellent factors struck through with an enticing plot, sumptuous visuals and killer sound design. Sounds perfect, right? Well, maybe, but only if you're a certain kind of person. We'll get to that. What little narrative is given at the outset is fairly straightforward: as with the first two games, a mythical, faraway land has been left desolate by the abandonment and corruption of its leadership. 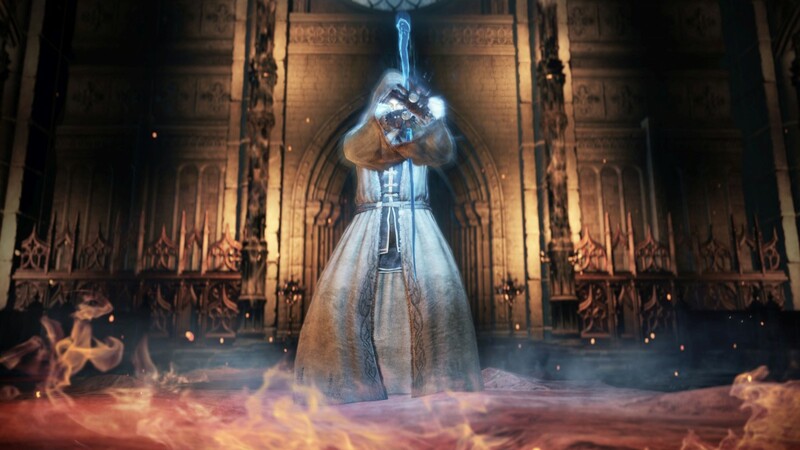 The five lords who rule over Lothric have either vanished or turned evil, and it's up to you - a neophyte revenant who levels up by consuming the souls of monsters - to find them and restore Lothric to its former glory. Now, part of what bugged a number of players about the last game was its overreliance on the story of restoring the land of Drangleic. The first game's allure derived from the story existing in the margins; rather than being the focus, it was a frame around your endurance tests as you slaughtered greater numbers of the undead. 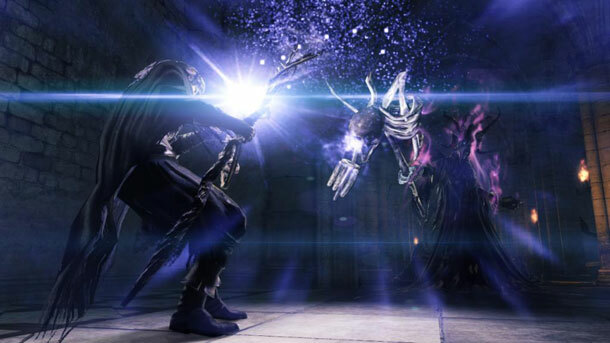 The keen focus on story in Dark Souls II seemed disingenuous to the mystique the first game's ambiguous plot afforded. 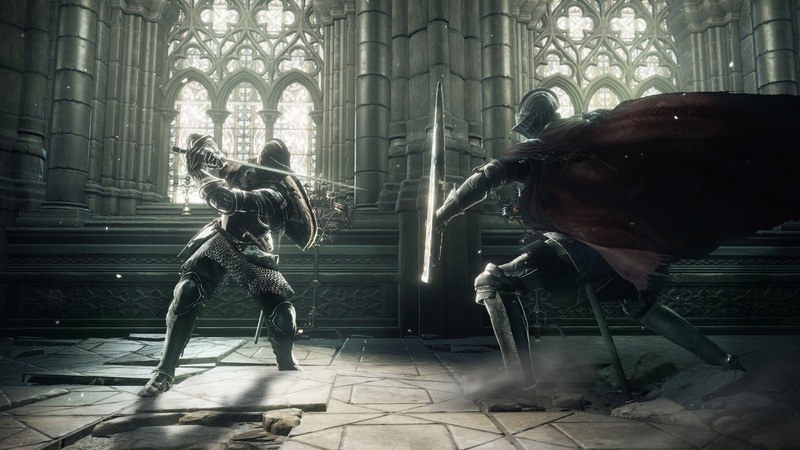 Thankfully, it's a lesson Dark Souls III seems to have taken to heart; we're largely back to hints of the world being offered to us rather than clubbing us unconscious. There's not a lot more I can say about story - not just because this is a Souls game, and plot isn't necessarily its main draw card - other than that it interested me more than the story of Dark Souls II did. It's evident From Software have struck a delicate balance between too much and not enough plot: a Goldilocks story, you might say. 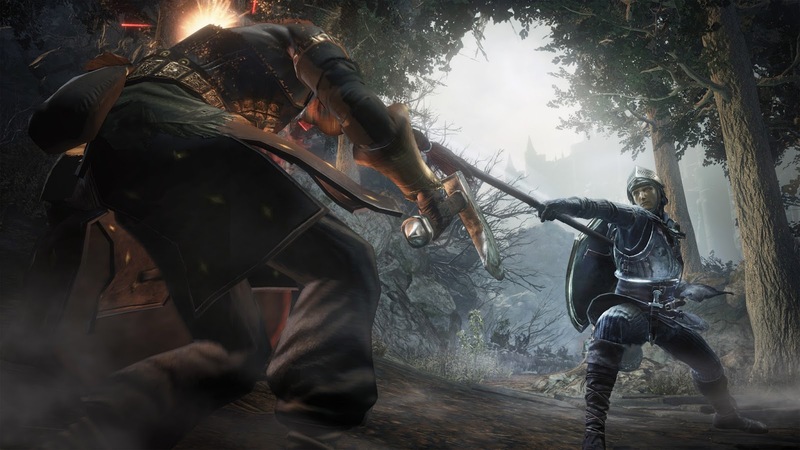 As veterans of the series are fully aware, the bread and butter of a Dark Souls game is the gameplay. You're here to pit your wits against numerous beasties with increasingly hideous appearances, and to deploy your patience as you die to them an infinite number of times. 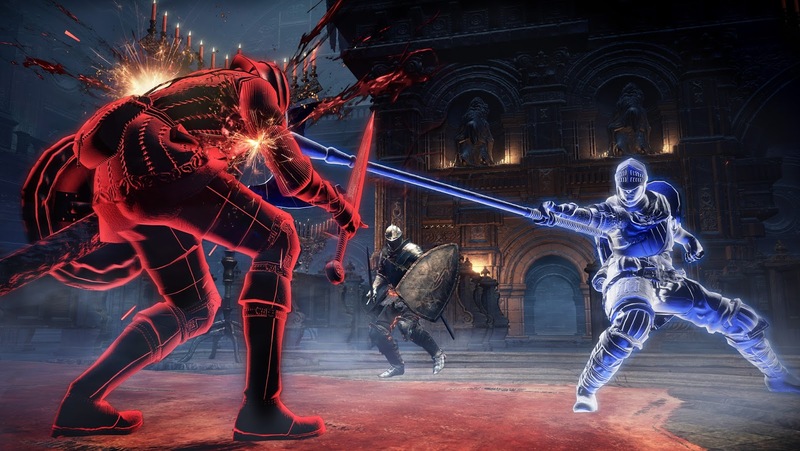 As I mentioned at the start, Dark Souls III has taken the combat approach from the previous games and amped it up a bit with Bloodborne-style ease of movement and dodging. 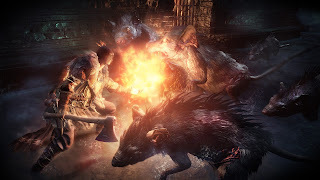 The gameplay is certainly more fluid than previously: where you were previously locked into completing an attack once you started it, meaning monsters could shank you unawares while stuck in your combat animation, the game now allows you to break out of that a little easier. Battles never feel arduous, and the pace is nicely kept once you get the hang of the controls (which are largely the same as Dark Souls II). Heavy attacks are now chargeable, meaning you can swing that mace with a little extra elbow grease to knock some zombie heads off, and the magic system uses a Focus Meter that feels simpler than the series' previous approach to spell attacks. What more I could say about gameplay would be repeating a lot of what I mentioned in both my review of the second game and my first impressions of this one. It's Dark Souls, meaning it's a slog against lots of nasties all trying to eat your face off. The core of the game is largely unchanged, but that's not necessarily a bad thing; why reinvent the wheel? I said at the start that the game is for a certain kind of person, and that person is a veteran Souls player. Yes, I mentioned in my first impressions that "if you're new to the franchise, you'll probably find it accessible", but I feel I may have been a little too generous there. 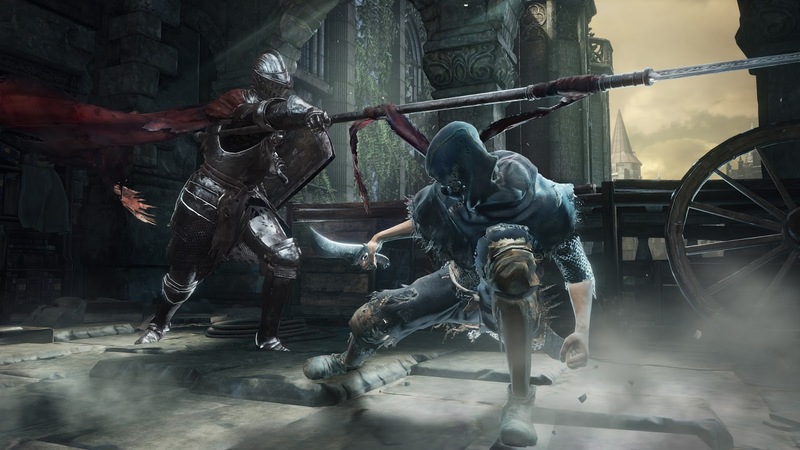 While not as bad at roping in newbies as the first Souls game, there's a distinct implication that the player is already partly familiar with how a Souls game works in terms of combat, leveling, items and overall progression. That's not to say new players will be entirely locked out, just that someone who's never experienced several hours reviving at bonfires to go kill devil hounds might be a bit turned off. But if, like me, you're one of those crazy psychotics who is willing to spend those hours breaking through the brick wall of respawning enemies, you'll find a lot to enjoy. Sorry, that sounds really glib, but what more can I say? 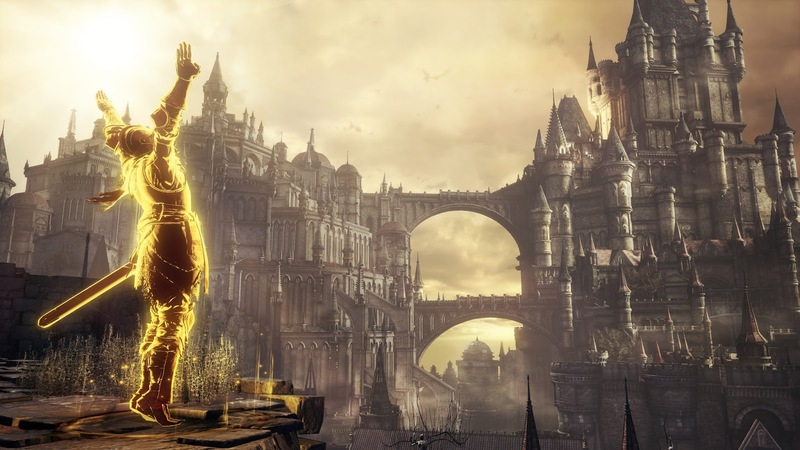 Dark Souls III looks fantastic. The graphical errors I mentioned in my first impressions have been tweaked, and it continues the series tradition of breathtaking vistas and grotesque, shambling monstrosities, both of which are richly detailed. There were some minor frame rate issues on the copy I played, but given that it's not the "final" final version, that may be fixed later. 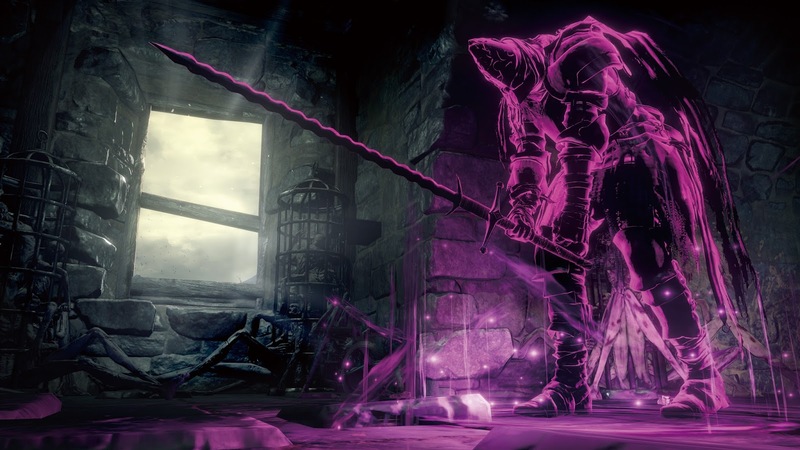 Of note are some particularly gross new enemies, including a giant demon who will beat you to death with a huge bowl of guts (or, if you're far away, will throw it at you like the world's most disgusting trebuchet) and Saint Aldrich of the Deep, one of the Lords of Cinder who is literally a constantly-shifting snake-virus-demon-thing that possesses enemy zombies by bursting from their chests and turning them into very fast and hard to kill snake-virus-demon-things. There's also a mimic, classically disguised as a treasure chest, who will unfurl into an obscenely tall creature made of tongues and pale legs that will give you the kind of nightmare that can only be exorcised by a lot of internet cat pictures. Between this, The Witcher 3 and Fallout 4, what is it with games and superlative sound design lately? Dark Souls III has a gloomy atmosphere and a gothic aesthetic, and it's something the sound greatly augments. Each footstep sounds unique, every weapon's slash or creature's shriek a joy to hear through wraparound headphones. From Software has taken their time crafting Dark Souls III's soundscape, and it only enhances what's already an excellent game. The music, too, is similarly haunting. Are these games hiring the same sound people? If so, they really need a raise. 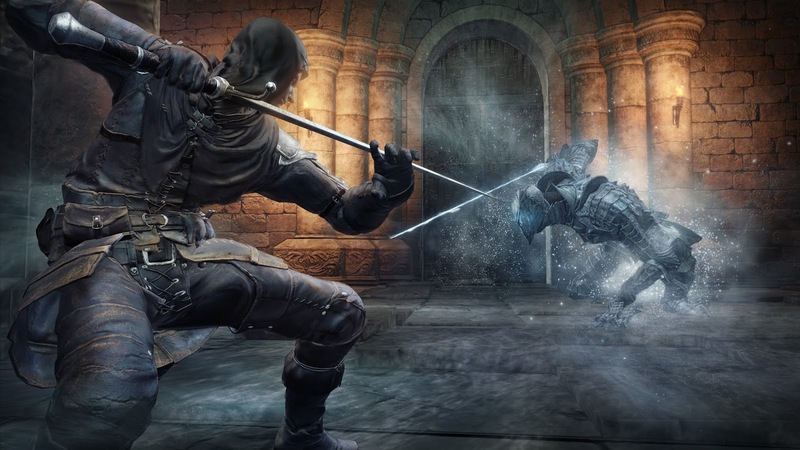 As a gauntlet of foes who do much to chip away both your health and your tolerance for death, Dark Souls III is quite possibly the best game of its caliber. Any further critique is going to feel repetitive; it enhances what didn't work, and largely maintains the same structure it's had for the better part of four previous games now (including Demon's Souls and Bloodborne). Newbies might be turned off, but fans of the series will love the gameplay, the growth of your character and the greater power you'll accumulate. You will start but small, but you shall die a colossus. Repeatedly. Repeatedly doesn't even begin to cut it. 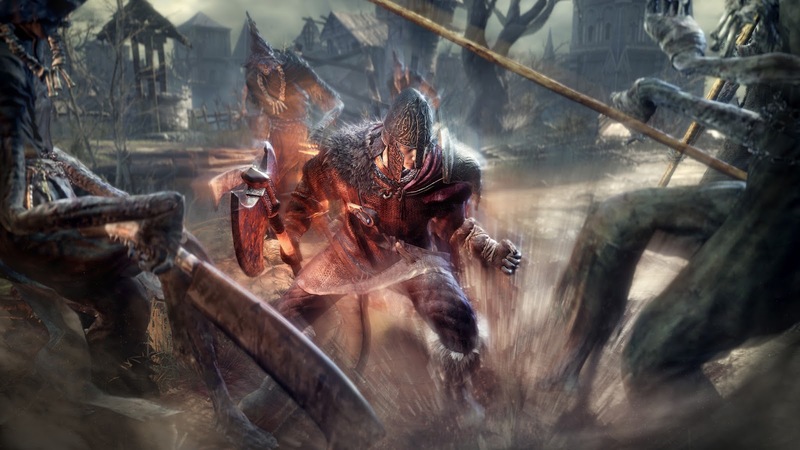 Having now played the final build of From Software's concluding instalment, I can safely affirm that Dark Souls III is definitely the best of its similarly-named peers (though I hear a good case could be made for Bloodborne still nicking that title). Everything I said in the above review is present here, with a few caveats. Firstly, the slight lag issues and framerate drops have been addressed; the PS4 version runs smoothly and solidly, handling the graphics a lot better than the previous build and manipulating the PS4 hardware with more subtlety than Littlefinger's hold on Westeros. But as fighting becomes easier, the bosses become harder. The Vordt of the Boreal Valley - a starting area boss who resembles the kind of pet dog Arthas of World of Warcraft might own - was not as much of a pushover as he was in my prerelease battle. I also found several enemies had been beefed up; most egregiously, the demon with the bowl of guts now throws his bowl before pulling out a two-handed hacksaw and smacking you with it (robbing you of a decent chunk of health). This is an area where both dodging and blocking have drawbacks, and while I appreciate From's dedication to making all playstyles viable I did have a rude awakening the first time said demon took most of my face off with that saw. It's like going to see a mass violin recital, then watching as the musicians retrieve a bunch of amped-up Les Pauls and go full Hendrix. Sound is still great, and a few of the synchronicity errors have been fixed - sword hits don't sound off a half second after you've chopped a skeleton in half. I didn't write in my prerelease notes whether or not there was much in the way of music during the non-boss fight parts, but I find the lack of background orchestration adds to the gloomy, creepy atmosphere the game excels at providing. You are alone in this world, and the sound - or, rather, lack thereof - wants you to feel it. But aside from the online hiccup, Dark Souls III is awesome. I'll cite my oft-referenced caveat of it being awesome for those who are into this sort of thing: casuals and people who play games solely for the unwinding and relaxation factor are probably going to be turned off. 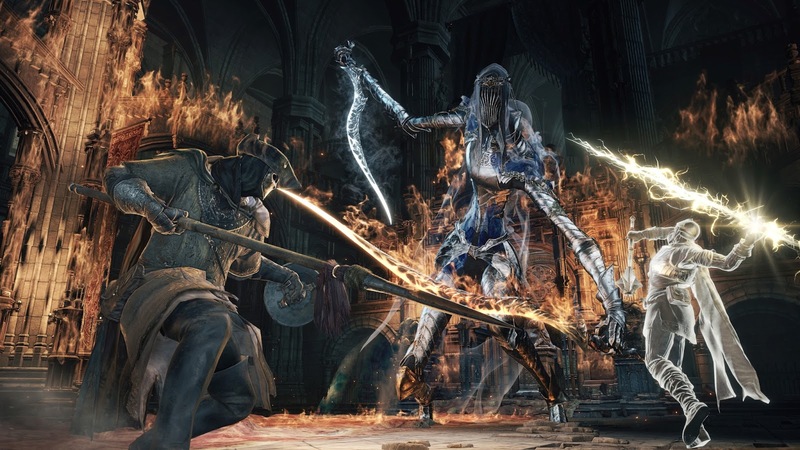 For those of us who are keen on something challenging, something gruesome and something entertainingly, tortuously torturous, Dark Souls III has got us covered. Get good, son. 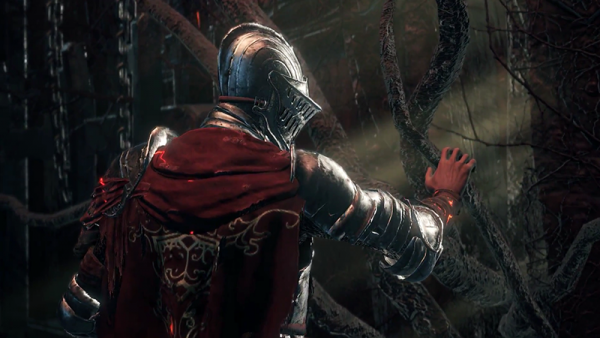 Dark Souls III will be released April 12 for Playstation 4, Xbox One and PC. 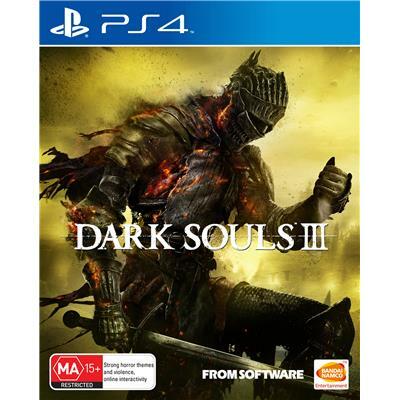 Review copy kindly supplied to Geek of Oz by Bandai Namco Entertainment.